These are the prizes, they're all new and purchased by me. 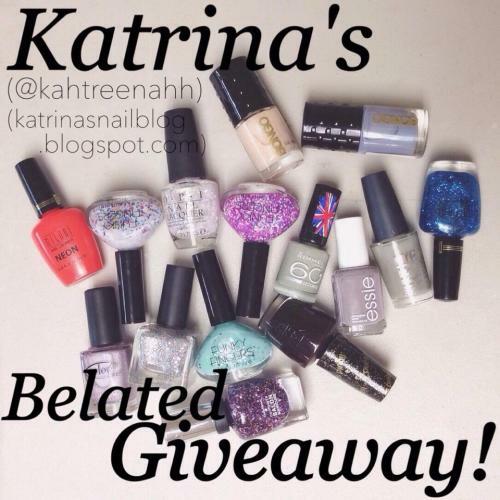 I will split this into three sets of five polishes, so there will be 3 winners. The giveaway starts today, Friday, May 16, and it will end on Friday, June 6. The winners will be randomly selected and I will contact them via email. Winners will have 48 hours to contact me back, otherwise, (a) new winner(s) will be selected. Once all the winners have contacted me, I will announce them. As usual, the giveaway is opened internationally. You must fill out the form to be eligible for the giveaway. *Note that you will only receive points if you fill out the form. For example, even if you follow me on IG & you repost about the giveaway BUT you do not fill out the form, you will not be eligible for the giveaway.